New York Times bestselling author Kristin Hannah is beloved by readers around the world for her unique blend of powerful emotion and exquisite storytelling. In Comfort & Joy, she offers a modern-day fairy tale—the story of a woman who gets a miraculous chance at happiness. Joy Candellaro once loved Christmas more than any other time of the year. Now, as the holiday approaches, she is at a crossroads in her life; recently divorced and alone, she can’t summon the old enthusiasm for celebrating. So without telling anyone, she buys a ticket and boards a plane bound for the beautiful Pacific Northwest. When an unexpected detour takes her deep into the woods of the Olympic rainforest, Joy makes a bold decision to leave her ordinary life behind—to just walk away—and thus begins an adventure unlike any she could have imagined. But not everything is as it seems in quiet Rain Valley, and in an instant, Joy’s world is ripped apart, and her heart is broken. On a magical Christmas Eve, a night of impossible dreams and unexpected chances, Joy must find the courage to believe in a love—and a family—that can’t possibly exist, and go in search of what she wants . . . and the new life only she can find. Not a happy, fuzzy holiday story. 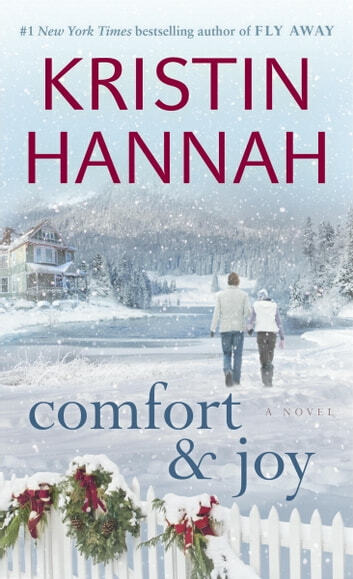 Comfort and Joy has a premise that may sound overly familiar to fans of cheesy Christmas movies. However this is not a happy, fuzzy holiday story, but one that is melancholy and ripe with tragedy. Kristin Hannah’s descriptions were very vivid and beautiful. The lodge that Joy finds herself at reminded me in some ways, of William Paul Young’s The Shack, which is one of my favourite novels. The bond she would form with Bobby (son of the lodges owner) was really quite sweet and endearing. Although this book wasn’t one that I absolutely loved, there were two main points that kept me reading and in turn factored into my 4 star rating. 1: I was able to really relate to Joy on a personal level. The emotions she felt as a result of her heartbreak really hit close to home for me. And 2. There were several passages that made me stop and reflect. Below I have included some of those quote that caught my attention. 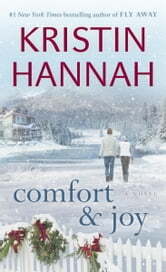 I would recommend Comfort and Joy to those who enjoy contemporaries and fans of Kristin Hannah. Althought a short read kept me interested right to the end. Yes the ending was different and came up fast I still enjoyed this story. Chapter15 was confusing to say the least! !